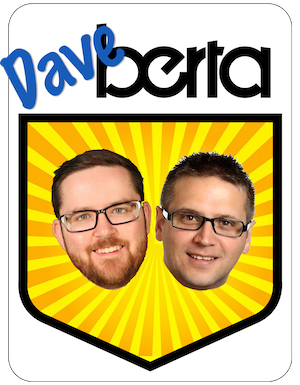 Framed as a lacklustre and uneventful campaign, local media and many mainstream pundits missed one of the most important stories of this year’s mayoral election in Edmonton. The city’s crusty local establishment has lamented for years about the constant stream of locally-raised young talent choosing to build their careers and start their families in other cities like Calgary, Vancouver or Toronto. But Alberta’s booming economy and a growing sense of optimism in Edmonton has led to an increasing number of young folks choosing to stay in our city, build their careers and plan to raise their families here. This important shift is a key part of what Don Iveson represented on the campaign trail this fall. 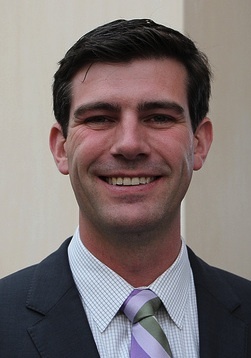 Supported by a diverse army of young Edmontonians who want to claim this city for the next generation, Mr. Iveson proved that substance and a positive campaign – or “politics in full-sentences” – can win elections. And despite nearly all the local media and opinion page pundits predicting a horserace until the moment the polls closed, Mr. Iveson earned a stunning 63% of the votes counted on October 21. His closest challengers, councillors Karen Leibovici and Kerry Diotte, earned 19% and 15% of the vote. In Calgary, a weird proxy-war between popular mayor Naheed Nenshi and conservative godfather Preston Manning dominated this year’s election campaign. The conflict was sparked by a leaked video recording of high-powered wealthy developers – the Sprawl Cabal – explaining their plans to take over city council by funding Mr. Manning’s conservative political training centre. Mr. Manning’s group wants to bring a libertarian brand of conservative politics to municipal government in Canada. The “Municipal Governance Project” plans to grant private-sector developers increased powers while limiting the ability of city governments to implement long-term growth plans. This directly contradicts Mr. Nenshi’s plans to address the challenges caused by Calgary’s suburban sprawl problems. Mr. Nenshi quickly shot back at the sprawl cabal, describing their actions as “shadowy, weird and unpleasant.” The developers attack quickly turned into an election issue, with Mr. Nenshi taking aim at the subsidies granted to suburban developers. Mr. Nenshi says his long-term goal remains to eliminate the subsidy completely. The developers howled in protest. 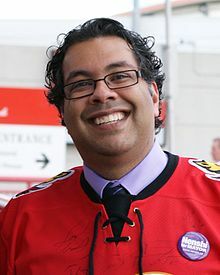 Mr. Nenshi was re-elected with the support of 73% of Calgary voters on October 21, 2013. Soon after the election, Cal Wenzel, the star of the leaked video, filed a lawsuit against Mr. Nenshi, claiming he defamed the businessman for political gain. Funding for infrastructure like light rail transit remains a priority for Alberta’s big city mayors, as does the promise by the provincial government to create big city charters. The charters could give Alberta’s two largest cities new fiscal powers and responsibilities to address the growth challenges created by the province’s booming economy. In June 2012, then-Municipal Affairs Minister Doug Griffiths signed a memorandum of understanding with Mayor Stephen Mandel of Edmonton and Mayor Nenshi to formalize their commitment to develop a big city charter. “This charter will position our two largest cities for the future,” Premier Alison Redford said on June 18, 2012. A year and a half later, the city charters have yet to be released. 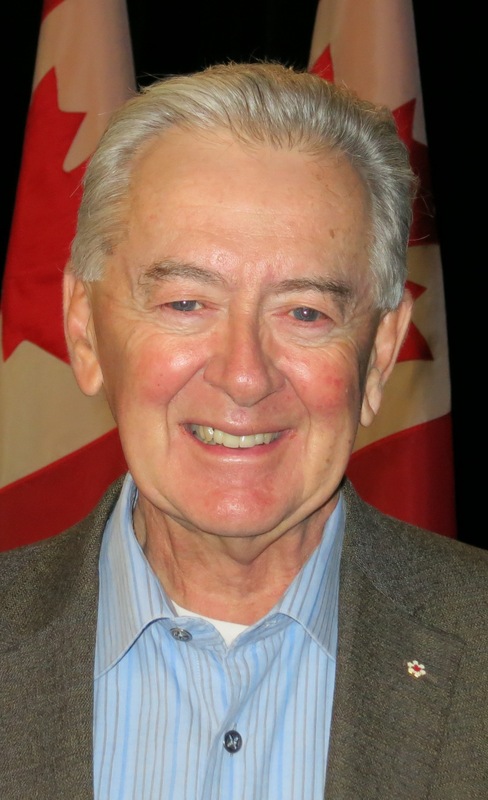 New Municipal Affairs Minister Ken Hughes said on December 12, 2013 that the city charters are one of his priorities, which is promising indicator. While the Redford government enjoys its focus on promoting the oilsands and pipeline projects on the international stage, the two mayors may have to remind the provincial government that it cannot ignore the growth challenges facing our two largest cities. This entry was posted in Alberta Politics, Calgary Politics, Edmonton Politics and tagged Alison Redford, Cal Wenzel, City Charters, Don Iveson, Doug Griffiths, Karen Leibovici, Ken Hughes, Kerry Diotte, Manning Centre for Building Democracy, Municipal Elections, Neheed Nenshi, Preston Manning, Stephen Mandel on December 26, 2013 by Dave Cournoyer. Bad planning: Edmonton Arena funding and Calgary urban sprawl. 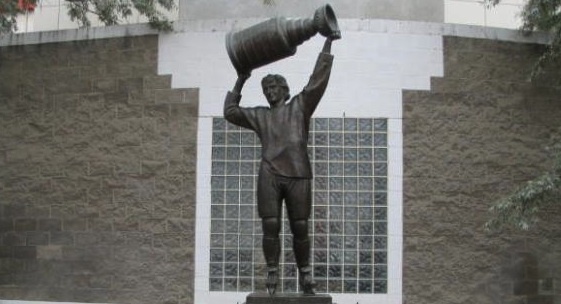 Top Priority: The Wayne Gretzky statue. While too much media attention was focused this week on the fate of a statue of a hockey player who left Edmonton twenty-five years ago for sunny southern California (and piles of money), City Council desperately tried to draw up a Plan B (or Plan C) to fund the proposed downtown arena. The unrealistic Plan A, a financial framework approved by City Council and billionaire Edmonton Oilers owner Daryl Katz‘s company months ago, included a large funding gap of $114 million that Mayor Stephen Mandel was adamant that the provincial government would fill. Premier Alison Redford, Finance Minister Doug Horner, and Municipal Affair Minister Doug Griffiths have been clear that no direct funding for the arena is coming. Ever. And after Mayor Mandel’s harsh-criticisms of the province’s cuts to post-secondary education, it now seems even more unlikely that the provincial politicians would be willing to kowtow to the Mayor’s desperate demands. Two weeks ago, a split council vote decided that the city would borrow $45 million against expected future Municipal Sustainability Initiative funding, meant for public infrastructure construction and maintenance, to put towards the arena. This still leaves a $55 million gap that the provincial government has said it is not interested in filling. As Councillors scramble to find a solution to a problem they should have solved months ago, it is now being suggested that more funds from the proposed Community Revitalization Levy (CRL) be directed toward the arena, looting funds already promised for other downtown projects. Meanwhile in Calgary, an awkwardly long press conference was held by the Sprawl Cabal’s Cal Wenzel to respond to accusations that wealthy developers are aiming to unseat aldermen who believe urban planning is better than the current near-unrestrained urban sprawl. 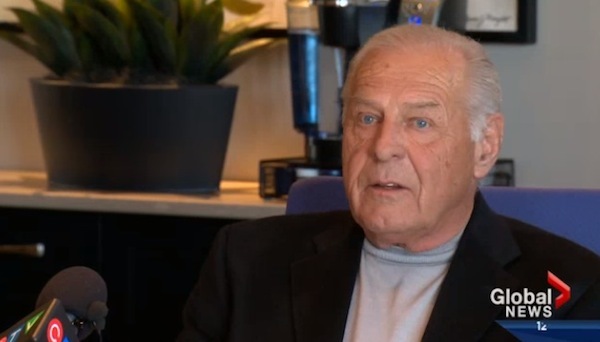 Despite being caught in a leaked video plotting to use Preston Manning‘s Calgary-based Municipal Governance Project to free city council from “the dark side,” Mr. Wenzel uncomfortably tried to downplay the evidence exposed by Global Calgary this week. This entry was posted in Alberta Politics and tagged Alison Redford, Cal Wenzel, Daryl Katz, David Climenhaga, Doug Griffiths, Doug Horner, Preston Manning, Stephen Mandel, Wayne Gretzky on April 25, 2013 by Dave Cournoyer. Sprawl Cabal of wealthy developers plot to take over Calgary City Council. 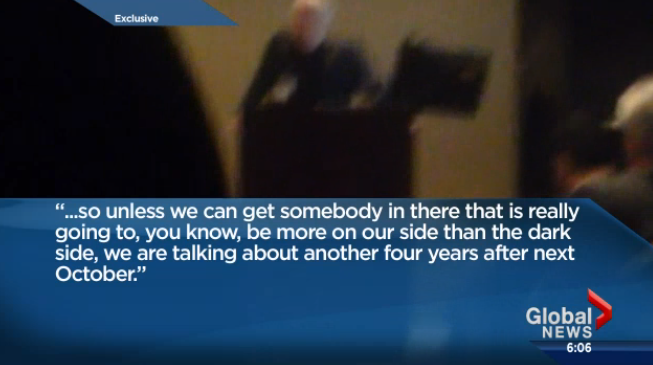 A video leaked to Global Calgary showing a large group of prominent wealthy developers plotting to stack Calgary City Council with sympathetic candidates is making waves in Alberta’s largest city. The video shows developer Cal Wenzel presenting a plan to defeat certain members of City Council who he perceives to be anti-urban sprawl – including Aldermen Druh Farrell and Richard Pootmans. Unable to defeat popular Mayor Naheed Nenshi, this ‘Sprawl Cabal’ of wealthy developers are aiming to win over a majority of seats on City Council, which could give them the power to block any moves by Mayor Nenshi that they perceive to be against urban sprawl. In the video, Mr. Wenzel claims that a large donation, of more than $1 million, made to Preston Manning‘s “Municipal Governance Project” training centre for civic election candidates (read the Manning Centre’s leaked talking points in response to the leaked video). The Manning Centre recently laid out their plans to train conservative-minded candidates in a bid to introduce a new brand of ideological conservative politics into Calgary’s next municipal election. Because of municipal campaign finance laws limiting individual and corporate donations to a maximum $5,000, the presence of a special interest group like the Manning Centre in Calgary’s election appears to have given these wealthy developers a place to pour their money. That this type of conversation happened is not a surprise. That is was recorded and leaked to the media is very surprising. The Sprawl Cabal was caught red-handed. As former U.S. Republican Presidential candidate Mitt Romney learned last year when a leaked video showed him dismissing 47% of American voters, this group of developers have learned that even in the most secure locations, Little Brother is watching (I bet you never noticed that iPhone in his pocket). This entry was posted in Alberta Politics and tagged Cal Wenzel, Druh Farrell, Duncan Kinney, Mitt Romney, Naheed Nenshi, Preston Manning, Richard Pootmans on April 23, 2013 by Dave Cournoyer.